Four world-class vocalists, four choirs, and Orchestra Iowa performing Beethoven’s glorious 9th Symphony. Don’t miss a note as IPR brings you Brucemorchestra X on Thanksgiving Day! The Cedar Rapids Opera Theatre collaborated with Orchestra Iowa to present soprano Rebecca Nash, mezzo-soprano Janara Kellerman, tenor Ta’u Pupu’a and bass-baritone Daniel Sumegi performing famous operatic arias by Bizet, Verdi, Rossini, and more. The 10th anniversary bash concludes with members of the Cedar Rapids Concert Chorale, MMU Chorus, Coe College Chorus, Kirkwood College Chorus and the four soloists performing Beethoven’s iconic Symphony No. 9, “Ode to Joy.” Be sure to tune in for IPR’s Performance Iowa Thanksgiving Day broadcast on Thursday, November 23rd at 2:00 PM! Join the Cedar Rapids Concert Chorale for our 58th concert season! Season Tickets & ​Individual Tickets now available at www.CRChorale.org. Featuring: Celebrating 500 years of the Reformation! Bach's Gott der Herr ist Sonn und Shild, BWV 79 and Vivaldi's Gloria. Featuring: Karla Goettel, Jaclyn Ohnemus, and Jared Rogers singing Lauda per la Nativita del Signore by Ottorino Respighi. Joined in concert by the Mount Mercy University Choir. 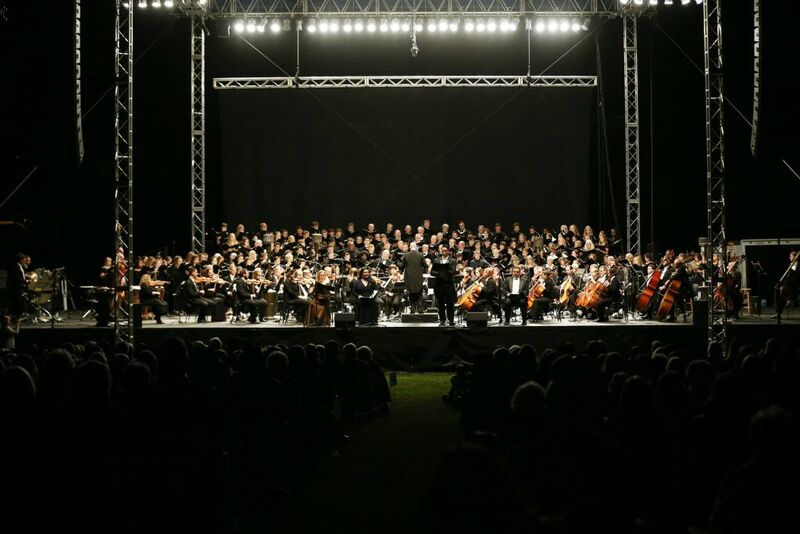 "More fire and passion rang out from the Cedar Rapids Concert Chorale joining the orchestra on the instantly recognizable 'Anvil Chorus from 'Il Trovatore''; the Hebrew slave anthem 'Va Pensiero' from 'Nabucco'; and the exuberant 'Les Voici' triumphant parade from 'Carmen.'"